At AEIOU Foundation for Children with Autism, we have a simple, yet sincere goal: to provide life-changing early intervention. It’s how we do it that sets us apart from everybody else. AEIOU is a profit-for-purpose organisation, which was established in 2005 to deliver high-quality therapy and care. 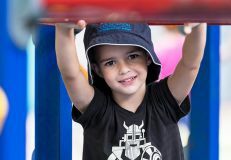 Our family-centred program meets the Guidelines for Good Practice (Roberts & Prior 2012) and supports children with autism to develop essential life skills, independence, confidence and inclusion. 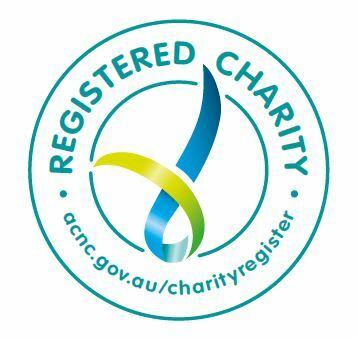 AEIOU is an approved NDIS provider and supports families transitioning to this new funding scheme. Along with providing early intervention, AEIOU is also committed to research, and chairs the AEIOU Research and Innovation Committee. 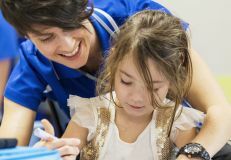 We are a funding-partner of the first national Autism Cooperative Research Centre (CRC), a founding-partner of the Griffith University Autism Centre of Excellence (ACE), and a member of the Australian Autism Alliance. AEIOU provides strong advocacy at both State and Federal Government levels to raise awareness and increase the financial support for children with autism and their families.